This is an activity about the endocrine system. I worked with Gonzalo vazquez Avila and Joaco Venini. Hormones: A chemical substance produced by a gland, carried by the blood which alters the activity of one or more specific target organs. 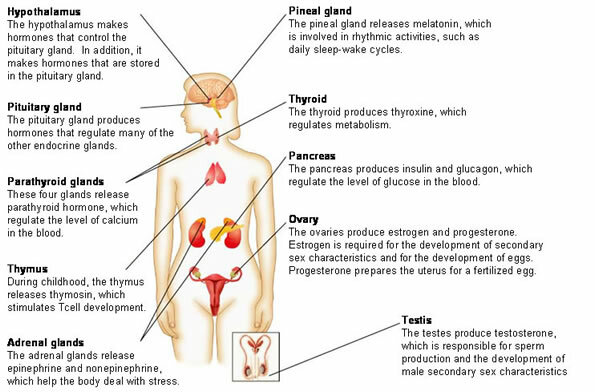 This is an image of the endocrine system and all it’s glands, including their respective functions (the hormone each secretes). The effects of adrenaline: prepares body to ‘fight’ (for a vigorous action), ability to feel pain decreases, strength and performance increases, awareness is hightened, heart rate and breathing rate increases, blood vessels in the skin and digestive system contract which makes you go pale, the pupils widen, and causes the liver to release glucose into the blood for the muscles to release energy from it (gives more energy) and use it to contract. 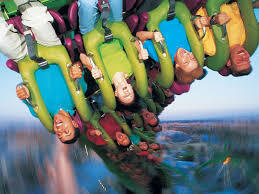 This is a picture of a situation in which adrenaline is secreted. In this particular situation adrenaline is secreted because the people are frightened, excited or nervous which causes the brain to send impulses to your adrenal glands.